Two days after my last post, I went into labor and baby Gwendolyn was born on December 8. She has been taking all of my time. Maybe an apology is in order for not posting sooner, but she is so cute, and I'm kind of tired. My mom made frikadellers when I was a kid, little meatballs in a sweet sauce. 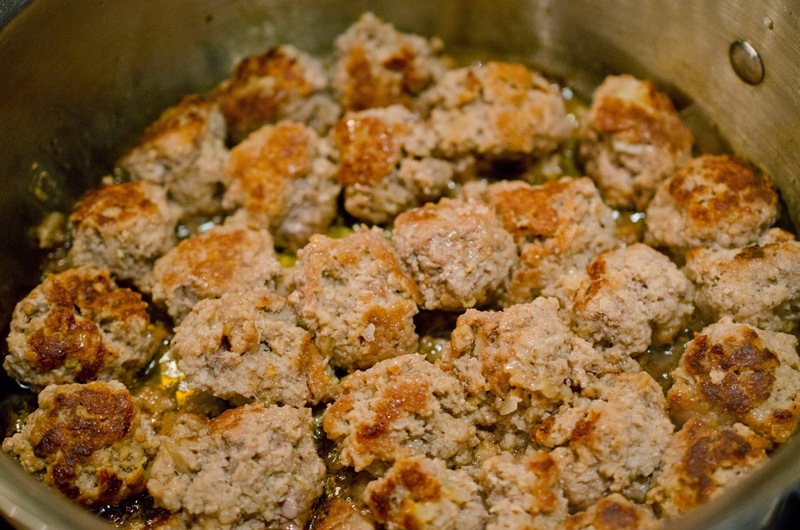 Traditional frikadellers are a Danish pork/veal meatball in brown gravy. Now my mom's version is different. I asked about the history and she said my grandmother made them with a sweet sauce and found the recipe and used it because it was Danish. My mom is the youngest of three daughters, so I decided to ask her older sisters about the recipe. The middle daughter, Julene, responded to my request and told me the history of the recipe. My Aunt Julene's husband worked for Hunt-Wesson, and the company had a campaign promoting Hunt's Ketchup and a frikedeller recipe was created and shared. My uncle Val changed the recipe to include apple sauce, which is the sweet element in the sauce. 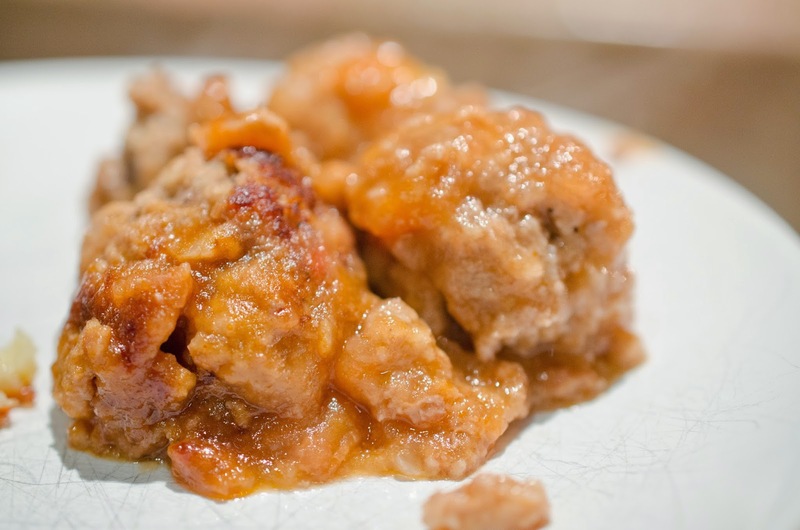 This recipe is a family favorite thanks to my Uncle Val. My fikedellers are a little different from frikedellers that my family grew up eating. 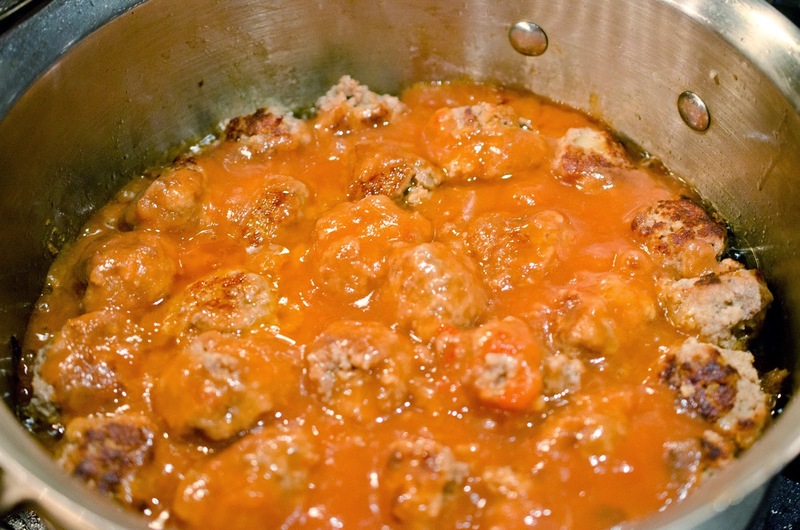 Tender meatballs with a sweet tangy sauce, reminds me of my mom and childhood. Cook on high for 8 minutes. 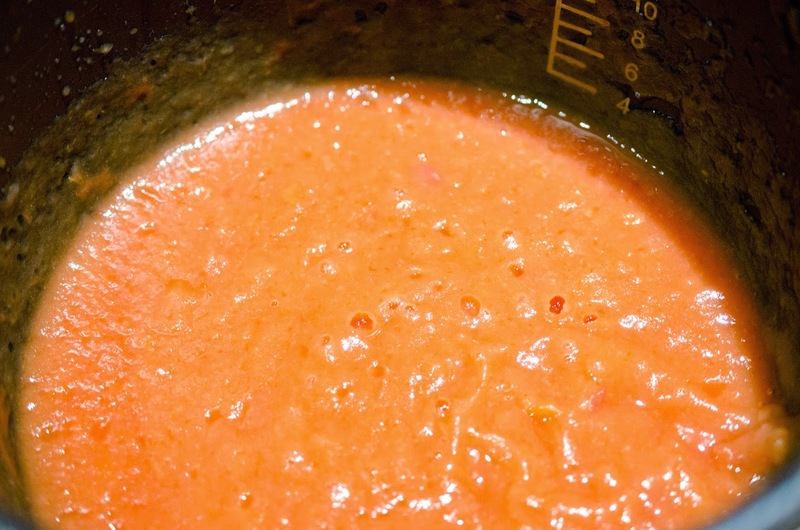 Puree apple mixture with an immersion blender. in blender. Remove crumbs to bowl with the onions. 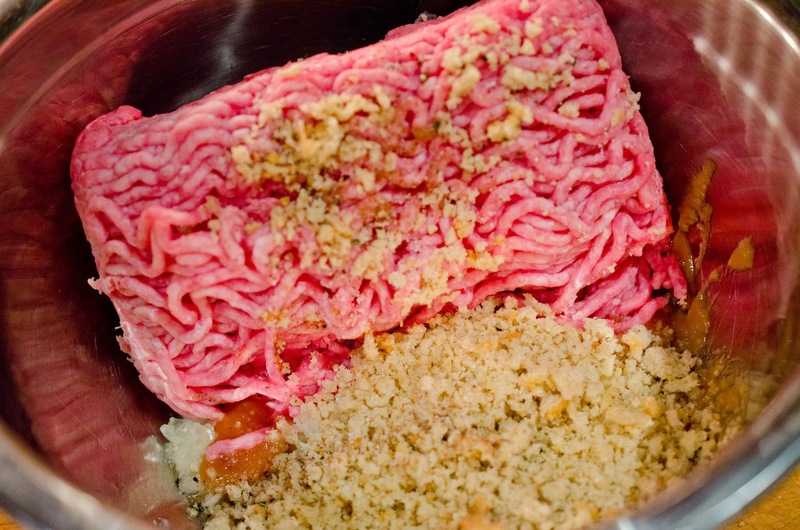 Mix onion, bread crumbs, meat, salt, pepper, egg, and nutmeg together. Heat 1/4 inch of Olive Oil in 12 inch skillet over medium heat. 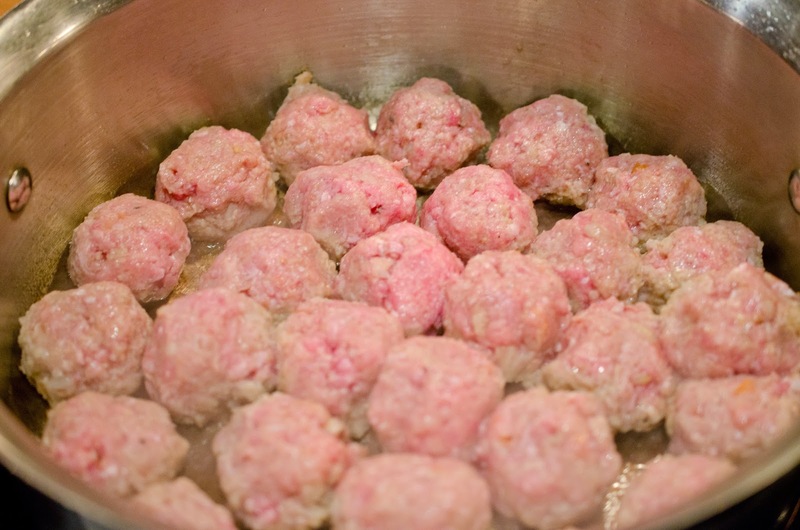 Form meat into 1 inch balls and cook in skillet until browned on all sides. Pour apple tomato sauce on frikadellers. Cover pan with lid and cook for 8 minutes. 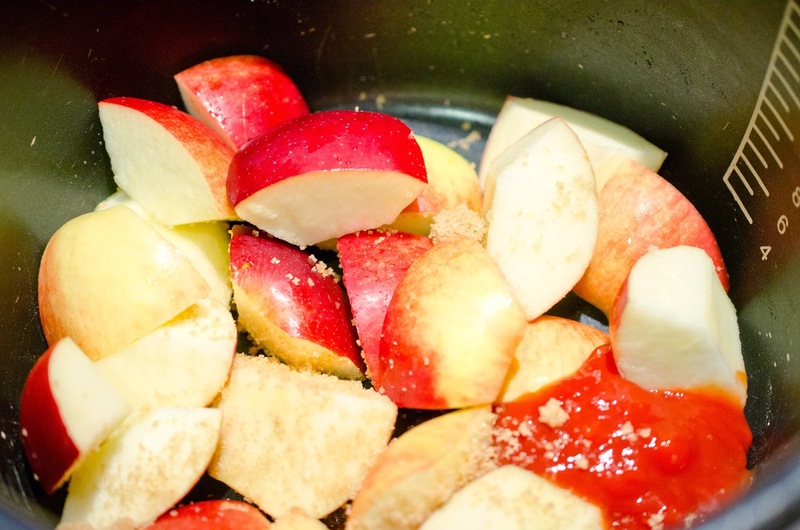 Wash, core and cut apples into big chunks. Place in pressure cooker with 1/4 cup ketchup and brown sugar. Chop onion in blender, remove from blender and put in a mixing bowl. 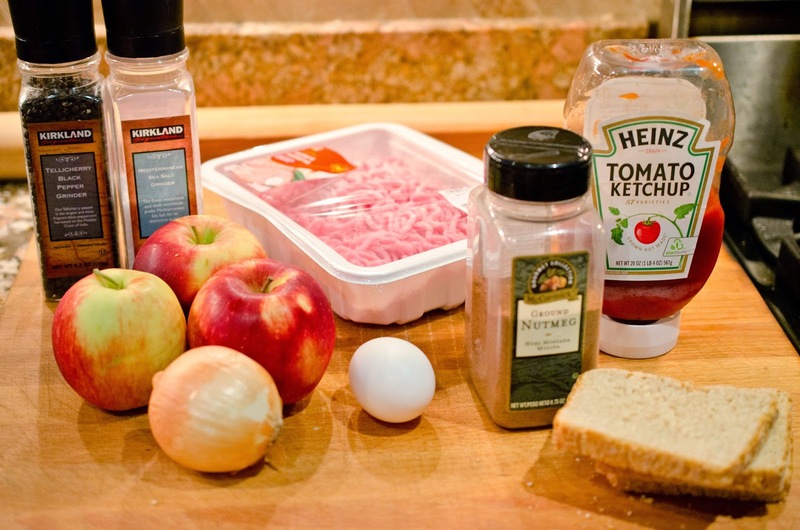 Chop bread in blender, remove crumbs to bowl with the onions.